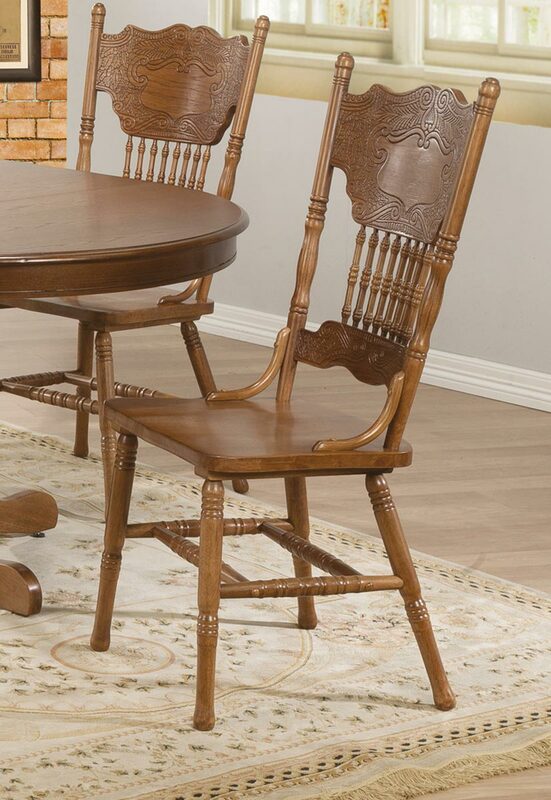 This beautiful dining table and chair set will be a lovely addition to your breakfast nook or casual dining room. The smooth oval oak table top features a beveled edge and plain apron. 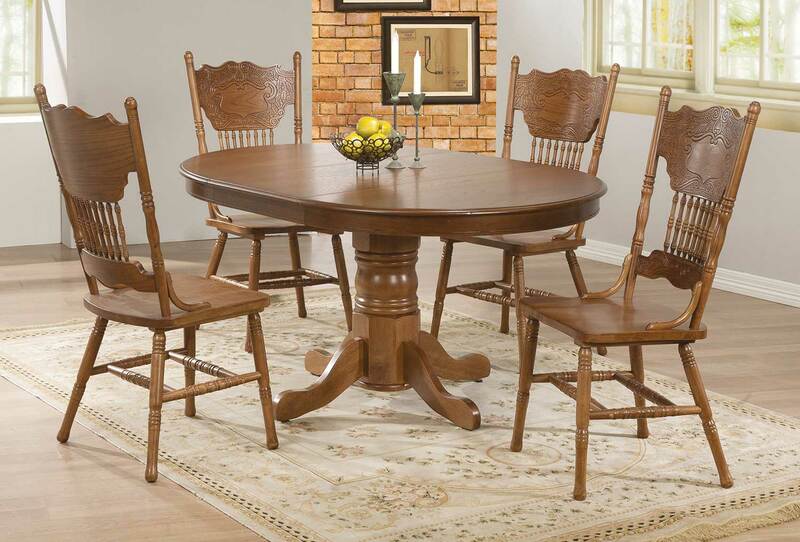 A pretty turned pedestal base gives this piece just the right touch of traditional charm. The traditional oak chairs will fit nicely into your room, with splat backs featuring an intricate pressed design and turned supportive spindles. 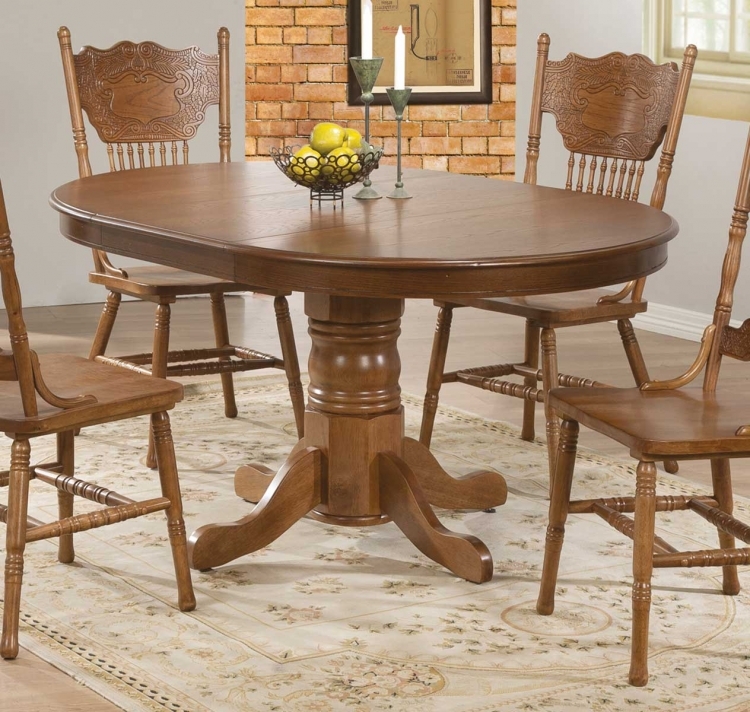 Turned legs complete these chairs, in a beautiful oak that will blend with your decor.